WHO has been informed by health authorities in Denmark, Japan and the Special Administrative Region of Hong Kong, China of the appearance of H1N1 viruses which are resistant to the antiviral drug oseltamivir (known as Tamiflu) based on laboratory testing. These viruses were found in three patients who did not have severe disease and all have recovered. Investigations have not found the resistant virus in the close contacts of these three people. The viruses, while resistant to oseltamivir, remain sensitive to zanamivir. Close to 1000 pandemic H1N1 viruses have been evaluated by the laboratories in the Global Influenza Surveillance Network for antiviral drug resistance. All other viruses have been shown sensitive to both oseltamivir and zanamivir. WHO and its partners will continue to conduct ongoing monitoring of influenza viruses for antiviral drug resistance. Therefore, based on current information, these instances of drug resistance appear to represent sporadic cases of resistance. At this time, there is no evidence to indicate the development of widespread antiviral resistance among pandemic H1N1 viruses. Based on this risk assessment, there are no changes in WHO's clinical treatment guidance. Antiviral drugs remain a key component of the public health response when used as recommended. On 7 July 2009, the Strategic Advisory Group of Experts (SAGE) on Immunization held an extraordinary meeting in Geneva to discuss issues and make recommendations related to vaccine for the pandemic (H1N1) 2009. SAGE reviewed the current pandemic situation, the current status of seasonal vaccine production and potential A(H1N1) vaccine production capacity, and considered potential options for vaccine use. reduce transmission of the pandemic virus within communities. Countries could use a variety of vaccine deployment strategies to reach these objectives but any strategy should reflect the country’s epidemiological situation, resources and ability to access vaccine, to implement vaccination campaigns in the targeted groups, and to use other non-vaccine mitigation measures. Although the severity of the pandemic is currently considered to be moderate with most patients experiencing uncomplicated, self-limited illness, some groups such as pregnant women and persons with asthma and other chronic conditions such as morbid obesity appear to be at increased risk for severe disease and death from infection. All countries should immunize their health-care workers as a first priority to protect the essential health infrastructure. As vaccines available initially will not be sufficient, a step-wise approach to vaccinate particular groups may be considered. SAGE suggested the following groups for consideration, noting that countries need to determine their order of priority based on country-specific conditions: pregnant women; those aged above 6 months with one of several chronic medical conditions; healthy young adults of 15 to 49 years of age; healthy children; healthy adults of 50 to 64 years of age; and healthy adults of 65 years of age and above. Since new technologies are involved in the production of some pandemic vaccines, which have not yet been extensively evaluated for their safety in certain population groups, it is very important to implement post-marketing surveillance of the highest possible quality. In addition, rapid sharing of the results of immunogenicity and post-marketing safety and effectiveness studies among the international community will be essential for allowing countries to make necessary adjustments to their vaccination policies. In view of the anticipated limited vaccine availability at global level and the potential need to protect against "drifted" strains of virus, SAGE recommended that promoting production and use of vaccines such as those that are formulated with oil-in-water adjuvants and live attenuated influenza vaccines was important. As most of the production of the seasonal vaccine for the 2009-2010 influenza season in the northern hemisphere is almost complete and is therefore unlikely to affect production of pandemic vaccine, SAGE did not consider that there was a need to recommend a "switch" from seasonal to pandemic vaccine production. WHO Director-General Dr Margaret Chan endorsed the above recommendations on 11 July 2009, recognizing that they were well adapted to the current pandemic situation. She also noted that the recommendations will need to be changed if and when new evidence become available. 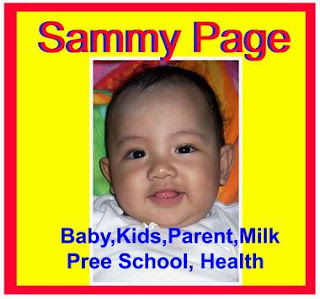 SAGE was established by the WHO Director-General in 1999 as the principal advisory group to WHO for vaccines and immunization. It comprises 15 members who serve in their personal capacity and represent a broad range of disciplines from around the world in the fields such as epidemiology, public health, vaccinology, paediatrics, internal medicine, infectious diseases, immunology, drug regulation, programme management, immunization delivery, and health-care administration. Additional participants in the SAGE meeting included members of the ad hoc policy advisory working group on influenza A(H1N1) vaccine, chairs of the regional technical advisory groups and external experts. Observers included industry representatives and regulators who did not take part in the recommendation process in order to avoid conflicts of interest. What is H1N1 Influenza 09? H1N1 Influenza 09, commonly known as ‘swine flu’, is a new type of influenza virus which causes respiratory disease in people. How is ‘swine flu’ spread? The virus spreads from person to person in the same way as seasonal influenza which is via respiratory droplets from coughs and sneezes. It can also be spread when a person touches respiratory droplets on another person, object or surface and then touches their mouth or nose or food they are going to eat. Symptoms of ‘swine flu’ appear to be similar to those of seasonal flu which include fever and cough or sore throat. You may also have a headache, runny or blocked noses, tiredness, body aches and in some instances diarrhoea and vomiting. Like seasonal influenza, ‘swine flu’ may also cause a worsening of other underlying chronic medical conditions. Who is at risk of catching ‘swine flu’? Anyone can get ‘swine flu’ or seasonal flu. people who have had the seasonal flu vaccine for 2009 have a much lower chance of getting seasonal flu, but can still catch 'swine flu'. If you are in one of the vulnerable groups above, you should keep a careful eye on your health and avoid contact with anyone who has flu-like symptoms. The diagnosis is confirmed by laboratory examination of mucus from the back of the nose or throat, or by blood tests. In the current ‘Protect’ phase, not everyone who has symptoms will be tested for ‘swine flu’. This will be decided on a case by case basis with a focus on people in the vulnerable groups listed above. The time between becoming infected and developing symptoms is 1 – 7 days, in most cases it appears to be between 1 – 4 days. When would I be contagious (able to spread the illness)? Based on current knowledge, an infected person can spread the infection to others from one day before the onset of symptoms and up to 7 days after the onset of symptoms. Children, especially younger children, may be contagious for longer periods. What should I do if I think I have ‘swine flu’? For parents with a young child, you should seek medical care immediately if your child has fast or strained/laboured breathing or if their health starts deteriorating. Who should I speak to for medical advice? If you need medical advice, you should call your GP and find out if they can see you. If you can’t see your GP, you should go to your nearest hospital with an Emergency Department. Is there any treatment for ‘swine flu’? ‘Swine flu’ can be treated with the prescription antiviral medications oseltamivir (TamiFlu®) and zanamivir (Relenza®). Antiviral medications started within 48 hours of the onset of symptoms can reduce symptoms by about 1 day and prevent some of the more serious complications of flu. 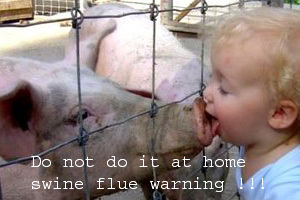 There is currently no vaccine for ‘swine flu’ although work is underway to develop an effective vaccine. Seasonal flu vaccine may not give protection against ‘swine flu’ but does provide protection against other circulating seasonal influenza virus types. Vaccination will also reduce the overall burden of seasonal influenza in the community and, in turn, reduce the burden on our hospitals and health system. How do I get a prescription for antiviral medication? Your GP will continue to make decisions about whether you need antiviral medication or not. If I am suspected of having ‘swine flu’ and have been sent home, what should I do? If you are awaiting the result of tests for ‘swine flu’ and have been sent home, you should follow the instructions given to you by your doctor. General good hygiene can help to reduce the spread of all viruses, including ‘swine flu’. Should I wear a mask to prevent becoming infected? If you are ill then wearing a mask may reduce the chance of you infecting others. If you are healthy, there is no need for you to wear a mask. SA Health has produced a number of fact sheets on human swine influenza which are available to view through our website www.flu.sa.gov.au . These fact sheets include frequently asked questions about schools and information to assist businesses.